FabScraps has three new releases that are all fun and uniquely FabScraps. This collection features the Love 2 Travel collection with papers that salute several countries. 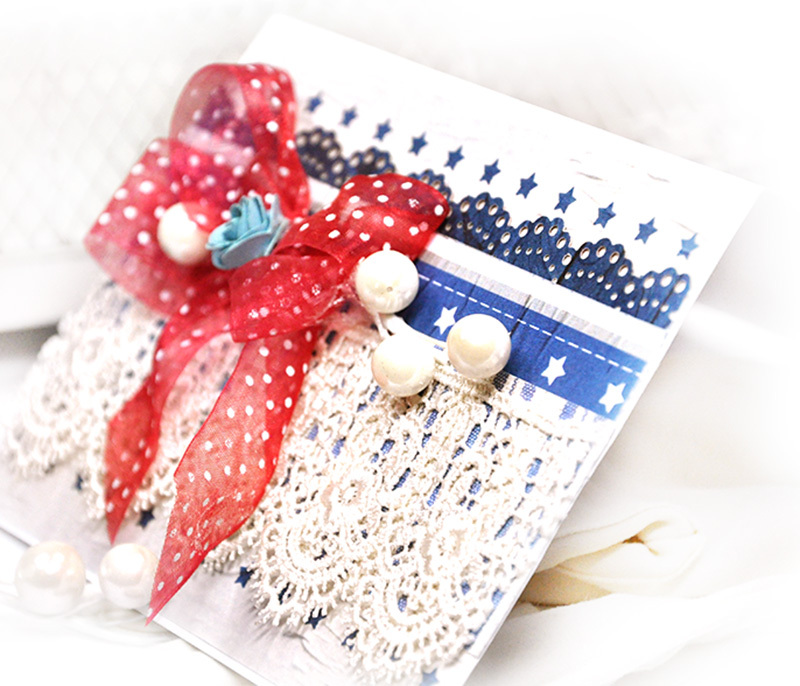 I picked the grand'ol red white and blue to create a patriotic card. I have a few relatives with July 4th birthdays - this is perfect. Plus red white and blue is cool to send any time of the year. Thanks for looking. Please stop by FabScraps Facebook page. 1. I used a prefolded 3.5in x 5.5 in white card as my background. Cut a piece of FabScraps Love 2 Travel Collection- America paper C73007 to fit the front of the card. 2. 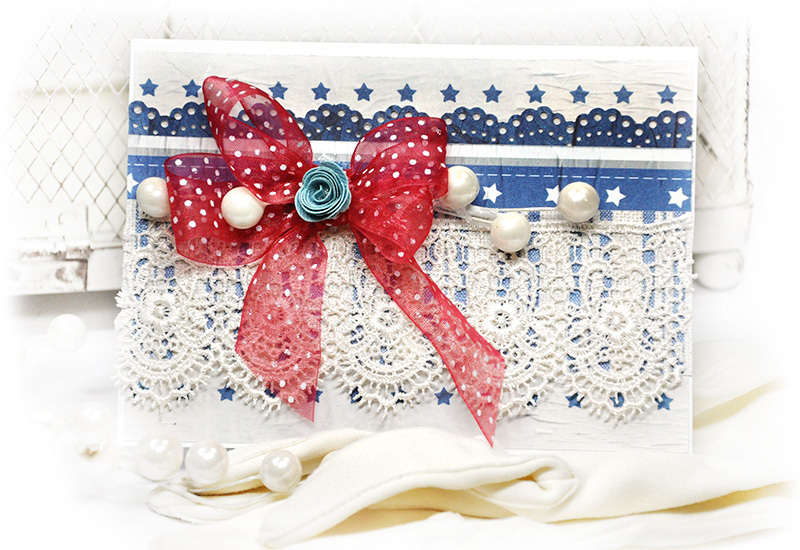 Next cut a layer of FabScraps Love 2 Travel Collection -Stars & Stripes paper C73008 approx. 2in x 5.5 in and punch one edge with decorative punch. Glue to card. 3. 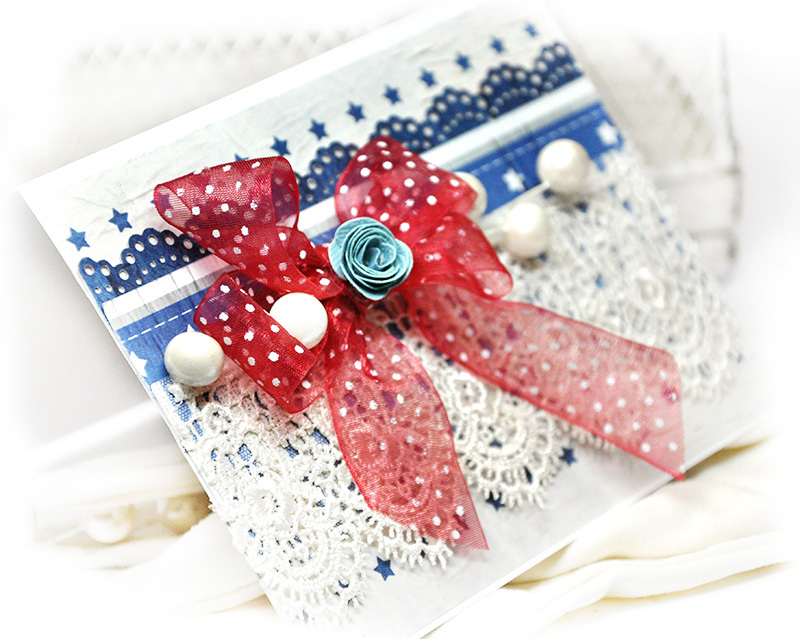 Glue a piece of wide lace to the page leaving a row of stars showing. 4. Tie a bow rom red ribbon. I used polkadots. Glue to the left side of card. 5. Accent with pearl floral berries. 6. Add a small flower to the top of the bow or roll a flower to add.